Sherrie Johnson officially begins her duties as new executive director at Leslieville's Crow's Theatre on Monday, Feb. 11. Crow’s Theatre has announced that Sherrie Johnson will be joining the team as their new executive director. 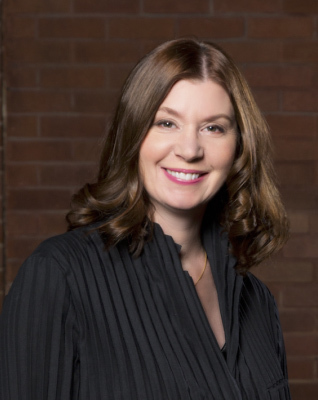 The performing arts theatre located on Carlaw Avenue officially welcomes Johnson into her new position on Feb. 11. She will be joining artistic director Chris Abraham at the theatre. “She and Chris are a powerhouse team. Their transformative leadership will make an even bigger impact for Crow’s, delivering urgently contemporary theatre in Canada,” Duffy added. Artistic director Chris Abraham also described Johnson’s background to be imperative in her new role. Johnson was recently serving as executive director and director of international partnerships at Canadian Stage since 2013. Here, she helped to program, produce and present almost 18 productions per season. Prior to working at Canadian Stage, she served as the founding artistic director for Outside the Box. She was also the senior curator at the PuSh International Performing Arts Festival, and she produced and programmed the Six Stages Festival in Toronto. In addition, Johnson has worked alongside artists from around the world including Robert Lepage, Stan Douglas, Jordan Tannahill and Crystal Pite.